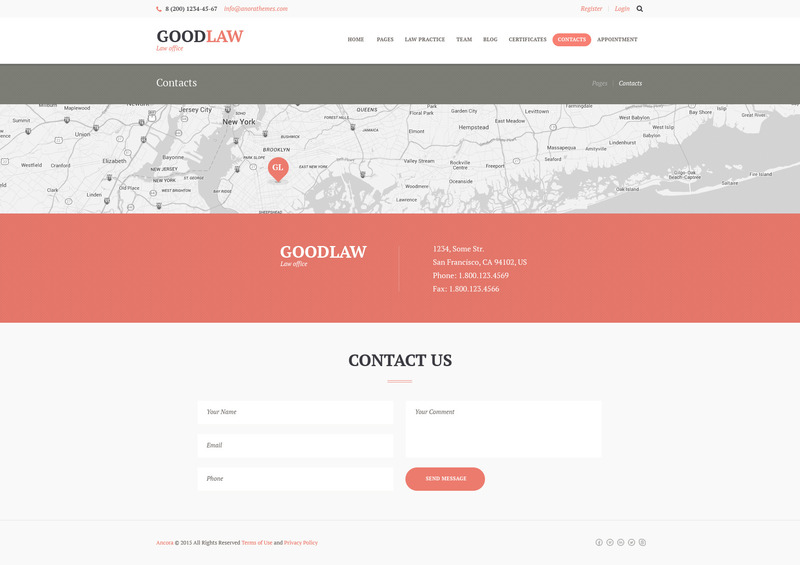 To ensure your legal services are distinguished among others in the area, we introduce you modern GoodLaw. 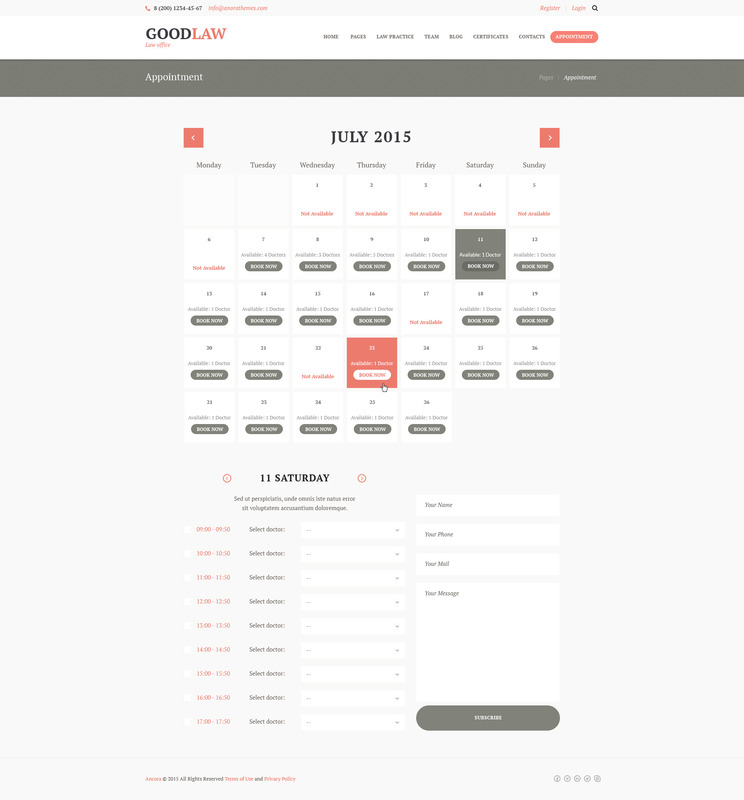 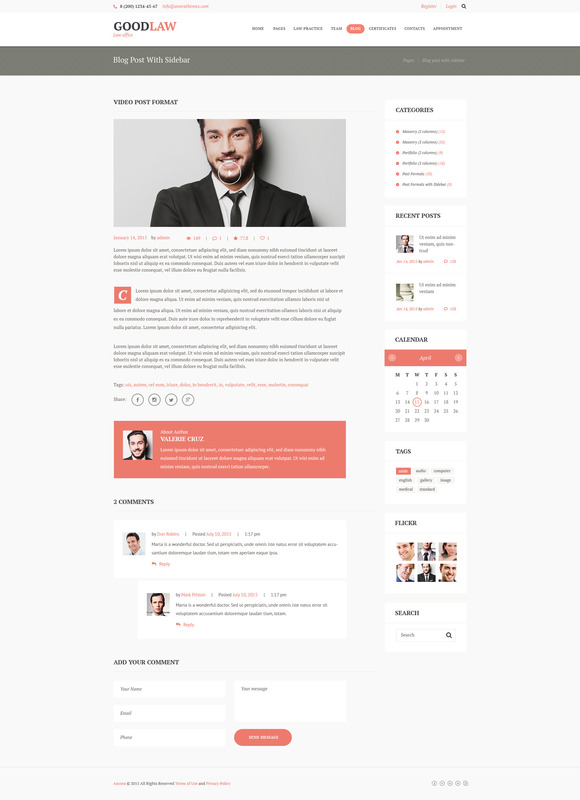 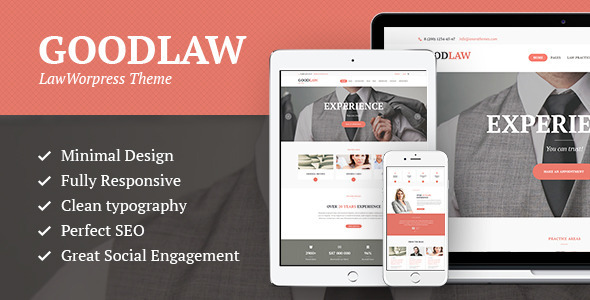 Goodlaw Lawyer & Legal Adviser WordPress Theme has a solid contemporary business design perfectly suitable for law and financial company, small law firm, legal advisors agency, and individual lawer bureau. 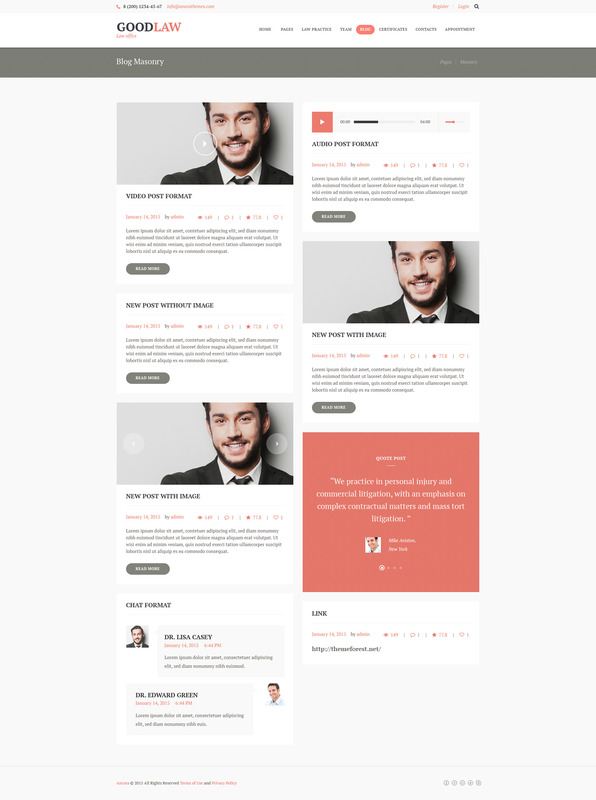 The theme features easy navigation, a handy list of attorneys, fantastic blog layouts, as well as WP Booking Calendar to instantly make appointments, and Content Timeline Plugin to sort your contents by date. 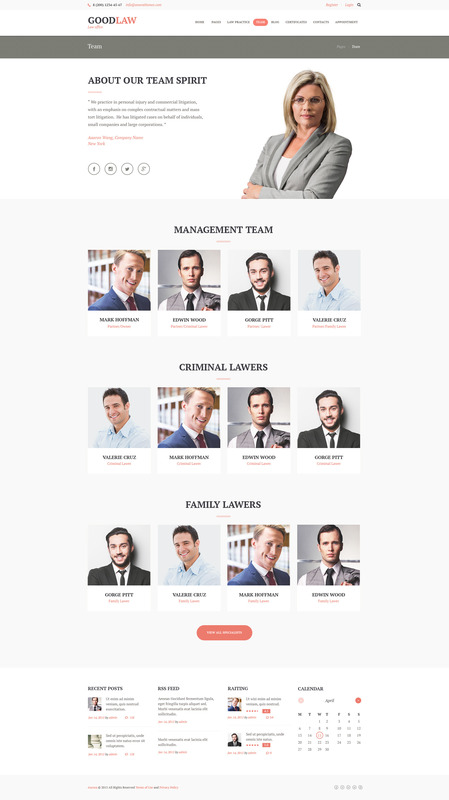 No need to say about a bundle of useful shortcodes, easy-to-use media content manager and WPBakery Page Builder – with all these things you are getting a powerful corporate website for your legal practice. 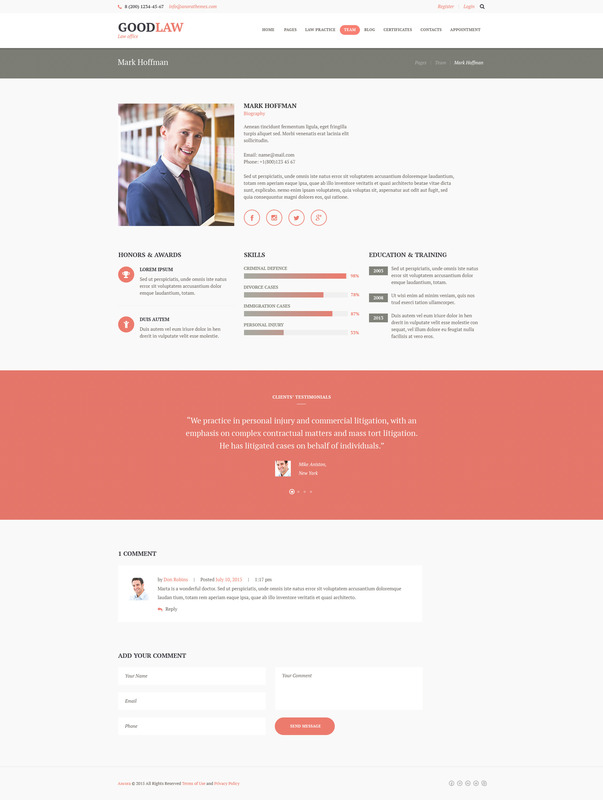 - Post Options are improved.